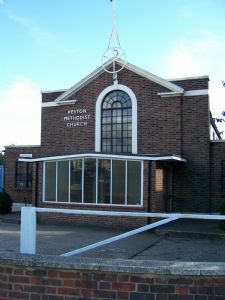 The church is situated on Heston Road. Every Sunday at 11am, with Holy Communion once a month. Other activities: A Ladies Fellowship meets once a month. 2nd Monday 2:00 to 4:00 p.m.
Heston is a welcoming and warm church family. Placed within a multi-cultural setting, this Methodist community is a small but powerful Christian witness. It has seen ebbs and flows in its long pilgrimage, yet has learnt through it all to trust God implicitly. This congregation has not lost its sense of expectation! The premises are well used by other organisations including a New Age Church, Dog Training, Scottish Dancing, Aerobics and music groups.